Great post, Steffani! I, too love to sew nice and slow. I have been bitten recently by the "making" bug and I am soooo excited about being able to make things, it's such a wonderful feeling... I learned to sew when I was 16 from my grandmother and since then, I have pretty much done nothing. It wasn't until recently when I saw something that I wanted, but couldn't find where to buy it, that I realized my love for sewing. And the amazing feeling is that my grandmother passed away last year, but it feels like she is right next to me, correcting my stitching and telling me how I should do things. What a blessing! And the greatest part is that my 6 year old daughter is getting excited about sewing too, making her own dolls, pillows... I just got your book and am so looking forward to copying my favorite dresses. I do have to say, though, that my grandmother did teach me the rub on method way back, but I never really gave it much thought. Thankfully you have written this book and I can feel a little closer to her again. Thanks for writing it! I taught myself to sew from the age of 5 on a hand cranked sewing machine. I'm still not a fantastic sewer but I'm OK. Recently I bought myself a new machine and my 6 year old son now has my old machine. "That is MY machine now? Right?" He loves to sew. He will sew anything. I was really sick one day and awoke to him sewing paint chips together to form a giant paint chip quilt. He begs to sew. "Please can you set up the machine?". I lie here and type this under a beautiful quit my (as then yet to be) husband made me for my birthday one year. Now he is hunting for a used parachute to make me a parachute skirt. He is also a potter and photographer. You could say I have definitely found my tribe and am proud to be a creative maker. Having both parents sew can only be good for both of our sons. My husband is a computer programer and I am a scientist. Even our "day jobs" are creative. 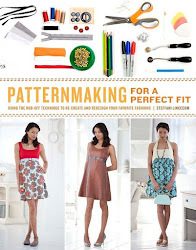 I found you looking for a new way to rip patterns from old favorites. I have "my way" but was hoping for something a little easier and productive. 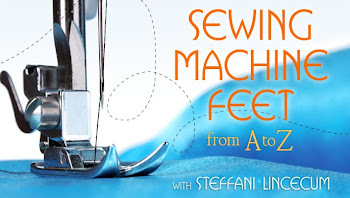 What lovely comments, I love hearing how sewing and handmade things make us feel, how they connect us to others. So glad to know that I'm able to pass on something useful to others as well. Thanks for this. 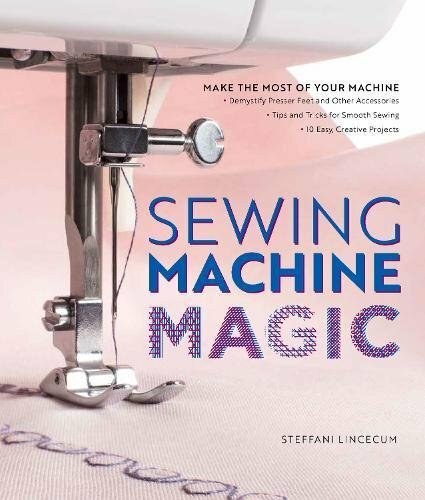 I really enjoy sewing as a creative outlet, but honestly sometimes the thought of winding up another machine to get something done dissuades me. I've been re-energized by hand sewing. It is a pleasure and a joy to get to the parts that I can just sew by hand. I plan for them even if they are not required (handpicked zippers, hems, bias bindings...) It takes longer, but looks better and the process is far more enjoyable. Recently my little niece wanted to learn how to sew. I plan to get her a sewing machine for her birthday next year, but for now we are making doll clothes by hand. Not only is it fun, but it feels much more intimate.